On Monday July 16, 2007, more than 5,000 people rallied at the Dag Hammarskjold Plaza in front of the United Nations in New York to protest the kidnapping and continued captivity of Gilad Shalit, Ehud Goldwasser, and Eldad Regev, and to urge the international community to act on their behalf. Gilad Shalit was kidnapped by Hamas on June 25, 2006 from the Kerem Shalom crossing in Israel, and Ehud Goldwasser and Eldad Regev were abducted on July 12, 2006 by Hezbollah from Israel’s northern border while on a patrol. In response, AZM will launch a postcard campaign to contact the Lebanese, Syrian, and Iranian ambassadors to the UN, asking them to abide by the Geneva conventions and UN resolutions, and to show a sign of life from the soldiers. Several United States Representatives attended and spoke at the rally, including Carolyn Maloney, Gregory Meeks, Jerrold Nadler, Christopher Shays, and Anthony Weiner. The rally was also attended by leaders of the African-American, Latino, Asian-American, and Turkish-American communities, all of whom called upon Hezbollah to release the kidnapped soldiers and expressed solidarity with Israel. AZM was also instrumental in soliciting 45,000 signatures for a cross-organizational petition, which was hand-delivered to UN Secretary General Ban Ki Moon after the rally, demanding the unconditional release of the three soldiers.  The rally was organized by the American Zionist Movement, the Conference of Presidents of Major American Jewish Organizations, the Jewish Community Relations Council of New York, United Jewish Communities, Jewish Council for Public Affairs, and UJA-Federation of New York.